Follow your heart and find your way with the healing power of peridot! 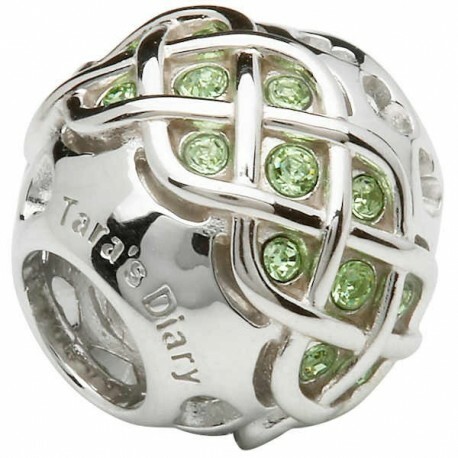 The beautiful green gemstone promotes good health, happiness and prosperity, and shines brilliantly cradled in the sterling silver Celtic knot design. Swarovski crystals embellishment not only capture the eye with their radiance, but suggest a source of guidance. The careful placement of crystals and knotted detail serve as a symbol for finding one's way. The design is finished with heart details along the bottom and top borders of the bead. 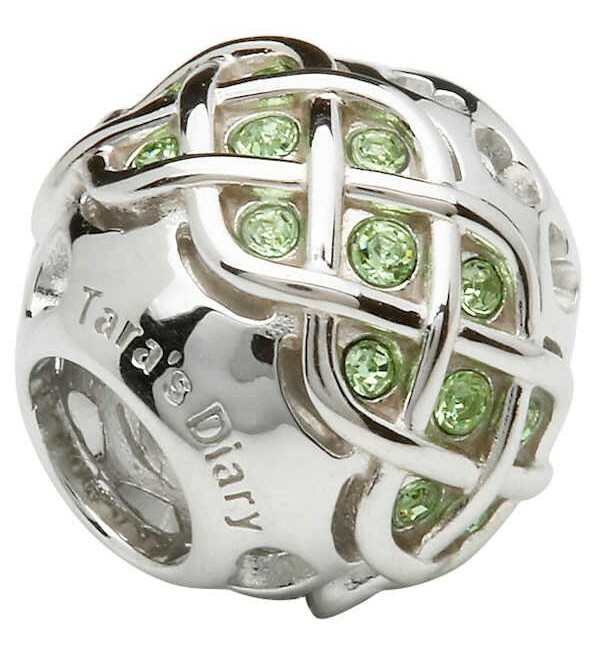 Follow your heart to new beginnings, healthy days and 'happy ever-after's' with this addition to your Tara's Diary Collection.